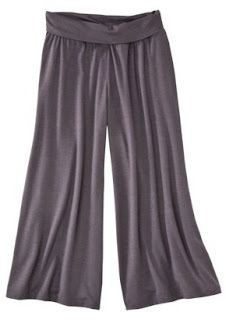 2 Pairs of Mossimo Gaucho Pants only $12 Shipped + 6% Cash Back! 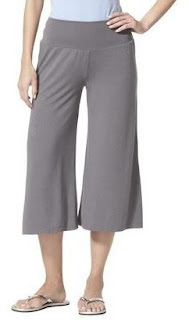 Today only at Target.com, you can score 2 pairs of Mossimo gaucho pants for only $12 plus get free shipping...that's only $6 a pair! There are 8 different colors to choose from and come in sizes XS to XXL. I have a few pairs of these and let me tell you, they are sooo comfortable! They're quite flattering too ;) One thing I should mention though is that they run pretty big, so I'd order a size smaller than you usually do. The reviews will confirm this fact.